Ideal size for large ladies' and medium to extra large mens' clothes. Ingenious multi hook saves wardrobe space! Garments can be layered one under the other where rail space is minimal. Robust and durable - smooth black plastic. Swivel polished silver metal hook. Size: Width 48cm (19") approx. Good speedy service. 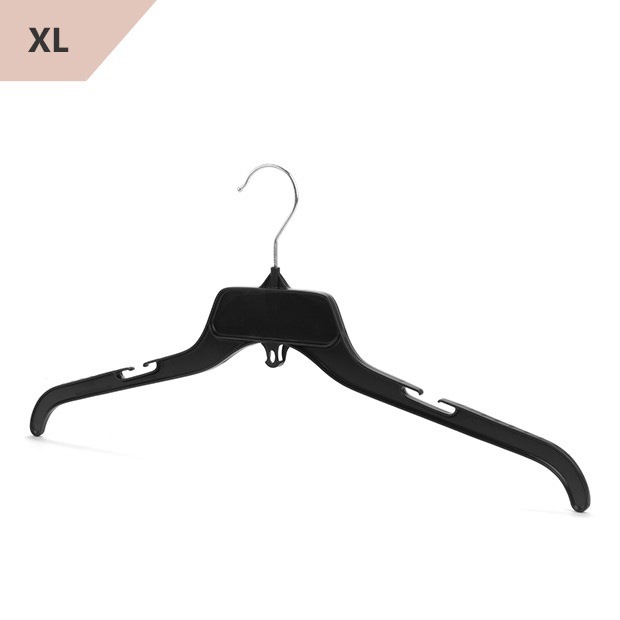 Good hangers, as large, light and quite study. Well pleased with the hangers, just what I needed. They arrived quickly after ordering and well boxed. Nice hangers and worth the money. We were looking for some that were longer than the ones you can get elsewhere and these are just what we needed, great length and a good quality hanger. They were delivered really quickly and were well packaged. Really please.